Whole Pig on display !! Freshly carved by our fully trained Chefs. Accompanied with fresh bread rolls, Sage & Onion Stuffing, Apple Sauce, Disposable plates and napkins. Only £495 on 100 guests !! Freshly Carved roasted joints by our full trained chefs. Accompanied with Sage & Onion Stuffing, Home Made Apple Sauce, Home Made Luxury coleslaw, Bella’s Special Pasta, Fresh Mixed Salad, Hot baby potatoes & herbs, Fresh French Bread & Butter, Disposable Plates, Cutlery and napkins. Freshly Carved Whole Pig by our full trained chefs. Accompanied with Sage & Onion Stuffing, Home Made Apple Sauce, Home Made Luxury coleslaw, Bella’s Special Pasta, Fresh Mixed Salad, Hot baby potatoes & herbs, Fresh French Bread & Butter, Disposable Plates, Cutlery and napkins. Whole Pig on Display, China plates, Cutlery and napkins. Delicious desserts also included with this menu. Freshly Carved Whole Pig by our full trained chefs. Accompanied with Sage & Onion Stuffing, Home Made Apple Sauce, Home Made Luxury coleslaw, Bella’s Special Pasta, Fresh Mixed Salad, Hot baby potatoes & herbs, Fresh French Bread & Butter. Whole Pig on Display, Honey Roasted vegetables, Roast Potatoes and Bella’s Famous Roast gravy. China plates, Cutlery and napkins. Delicious desserts also included with this menu. Freshly Carved Whole Pig by our full trained chefs. Accompanied with Sage & Onion Stuffing, Home Made Apple Sauce, Honey Roasted Chantenay carrots, Honey Roasted Parsnips, Hot baby potatoes & herbs, Bella’s famous Roast potatoes & Bella’s famous Roast Gravy. 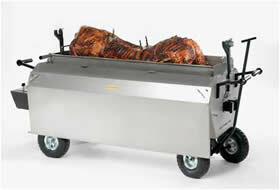 I used Bellas Catering Services to provide a hog roast for our staff summer party, which we held at a 4* hotel. Bellas Catering Services were fast and efficient in organising our hog roast and were amazing venue. On the day, Bellas Catering Services arrived and promptly set about organising their equipment and a pig was soon cooking. The hog roast was absolutely amazing and I wouldn’t hesitate in recommending the hog roast from Bellas Catering Services to everyone! Well done Bellas Catering Services, we’ll see you at Christmas for another hog roast !! 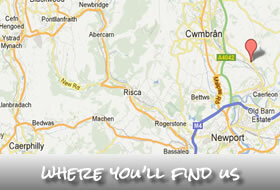 I recently booked a hog roast from Bellas Catering for a darts exhibition in Newport. I believe the man’s name is James, he turned up up a good hour before the event and by the time everyone turned up the hog roast was ready to go.The hog roast was out of this world, hot all night with plenty of crackling and stuffing. Famous hog roast list……..You could be next ! !